Join us for some co-op gaming! 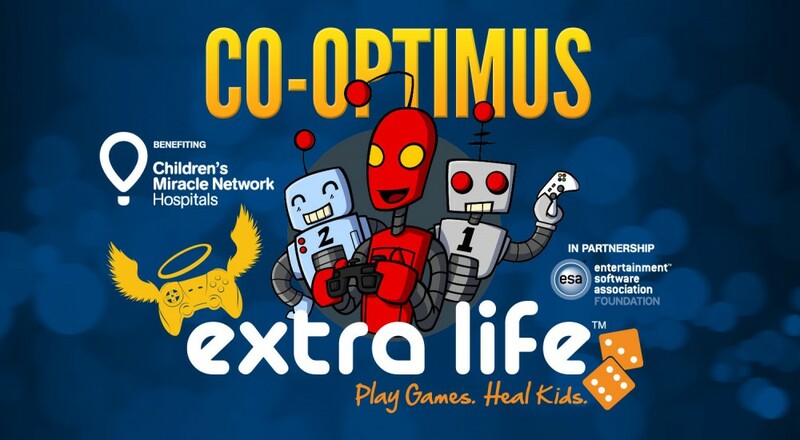 The Extra Life marathon started about an hour ago on the east coast, and those of us in the central timezone are about to start. There's still time to donate! We're still about $1,000 short of our goal, so please donate. All donations go straight to the Children's Miracle Network Hospital that the participant chooses. Check our our official team page for more details. You'll find a rough schedule and links to our Twitch.tv streams. Feel free to join our games. We're going to need plenty of human interaction to keep us going today.